Best Windows Hosting | How to Boost Up Your WordPress Website ? BestWindowsHostingASP.NET - Most bloggers find that it’s really hard to build a profitable wordpress blog, drive all the traffic needed as well as make money at the same time. If that’s your concern, I’m here to tell you something more powerful you’ve been neglecting. The truth is we all have personal engagements, new projects and family to attend to. You can’t possibly achieve overnight result. And you can’t achieve all your goals all at once. So rest your mind and do what other people have been neglecting. Besides, Google has already included the website loading speeds into the ranking algorithm, which means if your webpages load slowly, you may lose the ranking in Google searching results, thus leads to less traffic. It is worth investing some time and energy to increase the loading speed of your website. And in this article, we have given you a comprehensive introduction of the methods you can take to speed up your WordPress site. Therefore, just spend a few minutes reading and implementing the tips mentioned below, thus make a huge difference of your site. This first thing you need to do is figuring out your websites’ current performance for future references or benchmarks. After all, if you have no idea how well your site is performing, how can you improve it accordingly. Images can take up a lot of space. When you are saving your images for your website, make sure that you save them in the best file format for the type of image you are saving. Google has a great guide on what image formats are best for what types of images. Graphic programs such as Adobe Photoshop have a “save for web” option. Check to see if your image manipulation program has such an option. 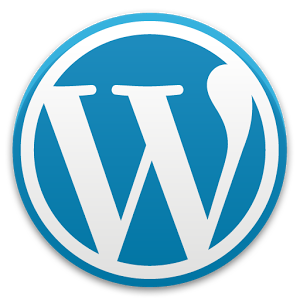 Upgrading to the latest WordPress version is necessary because upgrades usually include several performance upgrades and they further fix bugs which could slow down your server. Whenever you include an object from another website, a script, image or something alike, the browser has to perform an additional DNS query for that website in order to find out it’s IP address. This usually takes a while. In order to stop this from happening simply host the code or the image yourself. Whenever you are deciding on promoting a product as an affiliate, don’t just copy and paste the code that is given to you on the affiliate page. Around 80% of these banners have a bigger file size then they should have. Be sure to download and optimize them using Smush.it before uploading them to your blog. Sometimes also changing the image format helps to reduce the size of the banners. Go easy on the front page: It is good to avoid displaying too many posts on the front page of your WordPress blog. Go to the WordPress dashboard and adjust this setting under the “settings> reading panel”. This helps improve the load speed of your blog. Turn off inter-blog communication: Inter-blog communication is one factor that can cause a slow page load in WordPress blogs. When you turn this off, you will automatically destroy the links that lead to your blog which is actually the very settings that create a lot of the work for your blog. Adding cool or slick features hurts your page speed a lot. Before you add any new feature, ask yourself if it helps you towards your overall website goals. Your main goals revolve around collecting leads and building a relationship with your audience. Eliminate wasteful features that don’t help you achieve your long term blogging goals. Many bloggers use lots of images in their sidebar and footer. It’s great to draw attention to certain pages and products but sometimes a text link works much better. Your visitors understand a blog’s layout and know to find recent and top posts in the sidebar. Some bloggers stuff the sidebar with so many images that your page speed slows down a ton. Switch to text because not only will your page speed improve, but you get an SEO boost when you link to a certain page with anchor text. It’s user friendly and great for SEO because Google cannot read images. Last but not the least, you have to choose a truly reliable web host guaranteeing the fast page loading speed. Generally, the fast web host will have well equipped data centers, quality web servers, and 24/7 on-duty specialized monitoring staff. And some other hosting companies even have its exclusive technologies to keep websites load fast, such as the CPU and I/O Segregation technology from HostForLIFE.eu Hosting. Below are our suggestions of the fastest web hosting companies. HostForLIFE.eu - HostForLIFE receives Spotlight Status merit award for providing Recommended, Cheap & Fast ASP.NET 4.5 and MVC 5 Cloud Hosting from the leading technology company, Microsoft. HostForLIFE.eu claims to be the fastest growing Windows and ASP.NET Hosting provider in European continent. With the servers located in Amsterdam (The Netherlands), HostForLIFE.eu caters its clients with the newest servers on Dual Xeon Processor, minimum 8 GB RAM, and the fastest 1000 Mbps connection line. All the servers are equipped with the latest Windows Server 2012 R2, SQL Server 2014, ASP.NET 4.5.1, ASP.NET MVC 5.0, Silverlight 5, WebMatrix and Visual Studio Lightswitch. ExactHost exists since 2002 with offices in the Netherlands, Belgium and Turkey, we have extensive experience to provide you and manages more than 25,000 domains, 8,000 Web sites and 500 servers. In the past decade, we have developed into experts in hosting field. This translates into the most reliable internet services. ExactHost is also available 24 hours a day, 7 days a week. Customers wishing to use Classic ASP and ASP.NET as a programming language in combination with MySQL, Microsoft SQL Server or Microsoft Access databases use choose best course for a Windows hosting for € 4.95/month.